Whether or not this is true, the sentiments expressed in Ecclesiastes certainly are true for literature. It’s always fun to take one’s favorite novelist and trace his or her influences, and often even more so to take it in the other direction, examining later authors who have been influenced in turn. Recently, at Brain Pickings, Maria Popova teamed up with Michelle Legro of Laphams Quarterly and illustrator Wendy MacNaughton on a flow chart called Circles of Influence, showing how certain authors and artists had been influenced by others and, in turn, went on to influence still others. 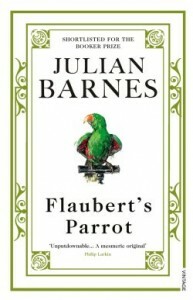 If you liked Flaubert’s Madame Bovary, you might try Flaubert’s Parrot by Julian Barnes. A kind of detective story, relating a cranky amateur scholar’s search for the truth about Gustave Flaubert, and the obsession of this detective whose life seems to oddly mirror those of Flaubert’s characters. Just what sort of book is Flaubert’s Parrot, anyway? A literary biography of 19th-century French novelist, radical, and intellectual impresario Gustave Flaubert? A meditation on the uses and misuses of language? 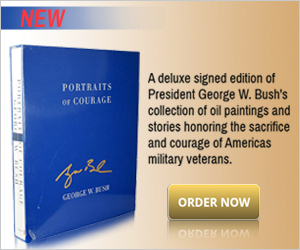 A novel of obsession, denial, irritation, and underhanded connivery? A thriller complete with disguises, sleuthing, mysterious meetings, and unknowing targets? An extended essay on the nature of fiction itself? What begins as a droll and intriguing excursion into the minutiae of Flaubert’s life and intellect, along with an attempt to solve the small puzzle of the parrot–or rather parrots, for there are two competing for the title of Gustave’s avian confrere–soon devolves into something obscure and worrisome, the exploration of an arcane Braithwaite obsession that is perhaps even pathological. The first hint we have that all is not as it seems comes almost halfway into the book, when after a humorously cantankerous account of the inadequacies of literary critics, Braithwaite closes a chapter by saying, “Now do you understand why I hate critics? I could try and describe to you the expression in my eyes at this moment; but they are far too discoloured with rage.” And from that point, things just get more and more curious, until they end in the most unexpected bang. One passage perhaps best describes the overall effect of this extraordinary story: “You can define a net in one of two ways, depending on your point of view. Normally, you would say that it is a meshed instrument designed to catch fish. But you could, with no great injury to logic, reverse the image and define the net as a jocular lexicographer once did: he called it a collection of holes tied together with string.” Julian Barnes demonstrates that it is possible to catch quite an interesting fish no matter how you define the net. Liked Emma but loved Clueless? Or preferred Jean Rhys’s The Wide Sargasso Sea to Charlotte Bronte’s Jane Eyre? Tell us some of your favorites in the comments section.